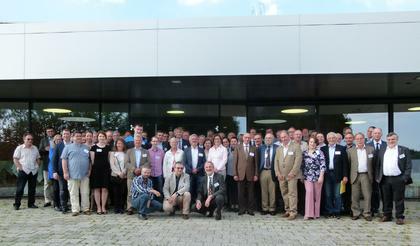 The creation of the “CREMLIN data management platform for lepton colliders” is completed. 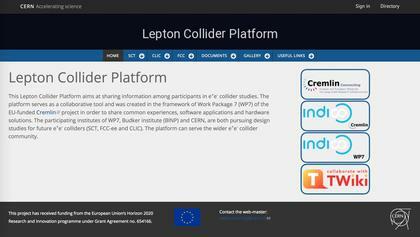 The Lepton Collider Platfom aims at sharing information among participants in e+e- collider studies. 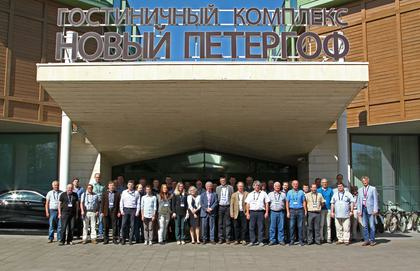 The platform serves as a collaborative tool and was created in the framework of Work Package 7 (WP7) of the EU-funded CREMLIN project in order to share common experiences, software applications and hardware solutions. 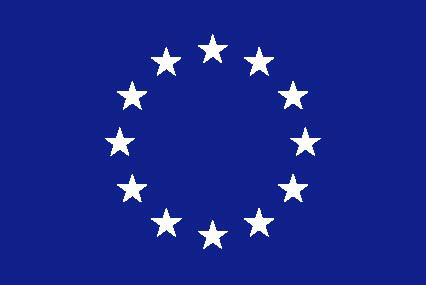 The participating institutes of WP7, Budker institute (BINP) and CERN, are both pursuing design studies for future e+e- colliders (SCT, FCC-ee and CLIC). 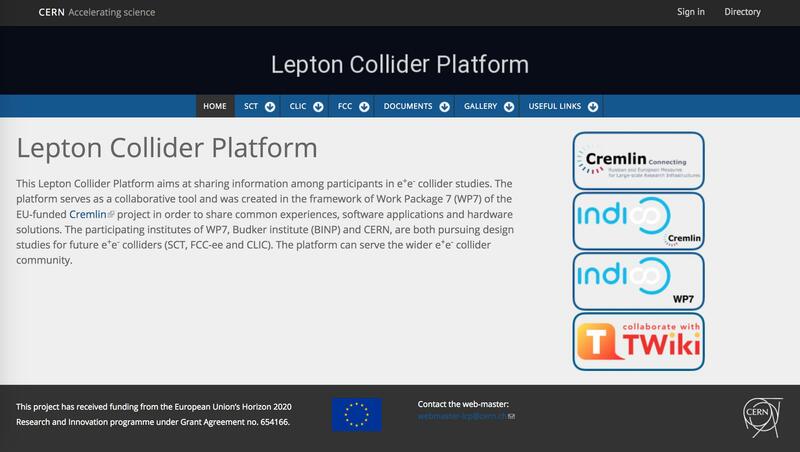 The platform can serve the wider e+e- collider community. The website will evolve further in the coming months. In particular, more technical information will be included on the twiki page.